Saint-Eustache(QC, Canada), January 16, 2019 – Québec-based Motorsports In Action(MIA) will be back for a third consecutive year in the highly competitive IMSA Michelin Pilot Challenge, competing with its #69 McLaren 570s GT4. 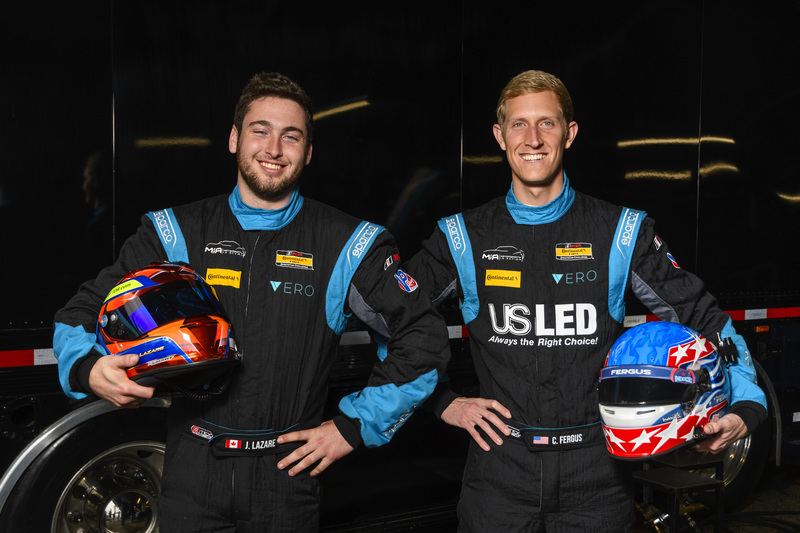 The team renewed Montreal’s Jesse Lazareand Columbus’ Corey Fergusas their official drivers for its 2019 IMSAcampaign. In 2018, the duo had brought the McLaren 570s GT4 to an impressive second-place finish under heavy rain in Virginia, and they had claimed the pole position in California, remaining unbeatable during the race until a mechanical failure forced them to retire. MIA had a difficult year in 2018, dealing with Balance of Performance (BoP) issues until the mid-season and a legal issue that McLaren was forced into by their 3rdparty vendor throughout the year. However, in the second part of the season, the team was able to charge back and compete for podiums, proving their thirst for victory. It is with this desire to win that Eric Kerub’s outfit enters this new season with Fergus and Lazare sharing the #69 machine, a safe bet. As a new feature this season, the Michelin tires will be used by all cars in the field. The team was able to test these new tires at the end of last season and were very pleased with the results as they performed better and deteriorate slower than the previous brand. Jesse Lazare has a strong experience in motorsports, especially in endurance. Having clinched the Championship title in the Porsche GT3 Cup USA in 2016, Lazare graduated in IMSA Michelin Pilot Challenge with MIA in 2017 where he finished 6thin the standings. That same year, he had the chance to race during the 24 Hours of Daytona where Lazare and his teammates finished this prestigious event in first place in the GTD class. Corey Fergus, a Columbus (Ohio) native, is no stranger to success in endurance racing. He won the ultimate title in 2015 in the TC class in Pirelli World Challenge, and was crowned vice-champion of the Porsche GT3 USA Cup in 2017. Corey has more than 50 podiums and more than 50 wins to his credit, in addition to winning several championship titles. The 2019 IMSA Michelin Pilot Challenge kicks off next Friday, January 25 for the 4-hour BMW Endurance Challenge at the Daytona International Speedway, prior to the Rolex 24 Hours of Daytona. Follow Motorsports In Action on Facebook, Instagram and Twitter for live updates during their 2019 IMSA campaign. All races will be broadcast live on IMSAtv.imsa.com. next post: Motorsports In Action Claims a Third-Place Finish in Sebring and Scores Valuable Championship Points!